Otro Titulo: Justo en la mira. 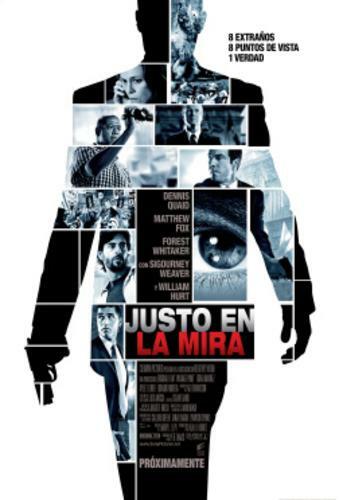 Interpretación: Dennis Quaid (Thomas Barnes), Matthew Fox (Kent Taylor), Forest Whitaker (Howard Lewis), Sigourney Weaver (Rex Brooks), William Hurt (presidente Ashton), Bruce McGill (Phil McCullough), Ayelet Zurer (Verónica), Edgar Ramirez (Javier), Eduardo Noriega (Enrique), Saïd Taghmaoui (Suarez), Zoe Saldana (Angie Jones), James LeGros (Ted Heinkin), Richard T. Jones (Holden). Diseño de producción: Brigitte Broch.